An arrow can only be shot by pulling it backward. So when life is dragging you back with difficulties, it means that it's going to launch you into something great. 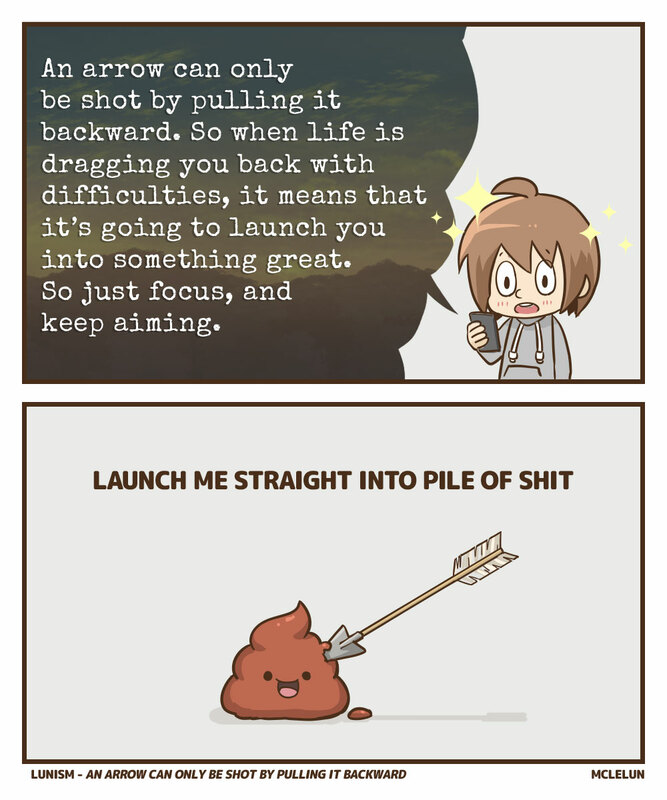 So just focus, and keep aiming. Remember to steer away from crappy target. Life is not always going to launch you into something great.